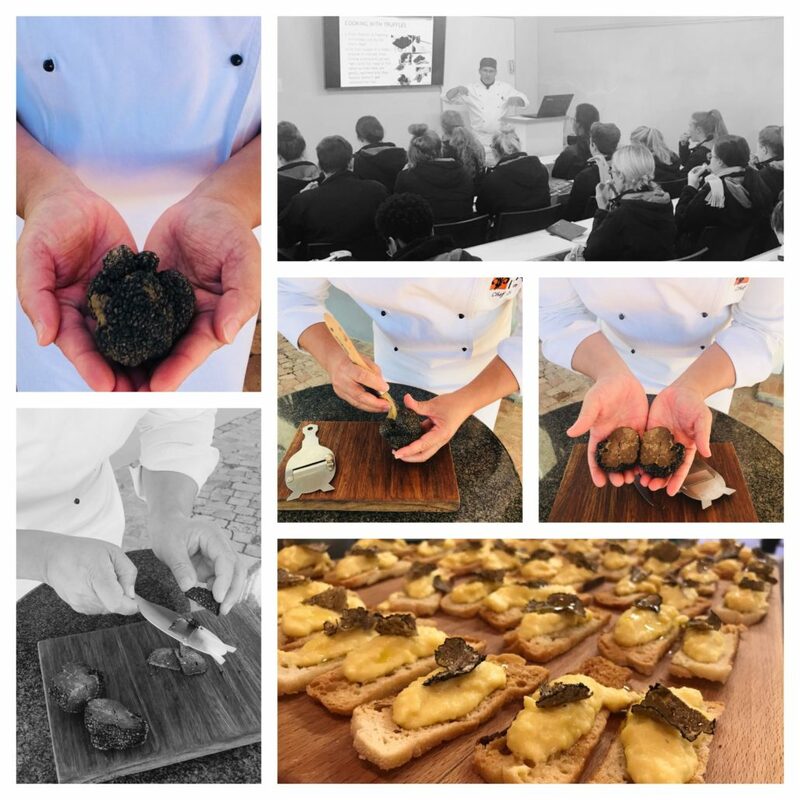 ICA 1st year students excitedly experienced the rare opportunity to taste the highly prized fungi – the Italian black summer truffle. A privilege not known to many! ICA Chef-Lecturer and Head of Cooking, Selwyn October, prepared perfectly cooked scrambled eggs with truffle oil infusion and delicate shavings of fresh Black Truffles for the students to taste, demonstrating just the right way to work with this delicate food item, hunted (harvested) and brought back especially just for them from Frontino, one of the most beautiful, certified national heritage villages in Italy! Unique experiences like these are what gives ICA students a definite edge in the culinary arena. On 15 September, the ICA will once again host an Open Day for prospective applicants. More information can be found here. Start your culinary journey to the top. Apply now.